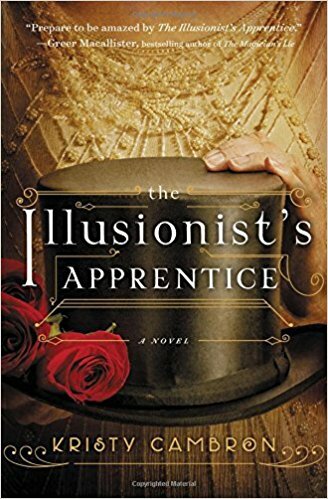 Wren Lockhart, apprentice to master illusionist Harry Houdini, uses life on a vaudeville stage to escape the pain of her past. She continues her career of illusion after her mentor’s death, intent on burying her true identity. But when a rival performer’s act goes tragically wrong, the newly formed FBI calls on Wren to speak the truth—and reveal her real name to the world. She transfers her skills for misdirection from the stage to the back halls of vaudeville, as she finds herself the unlikely partner in the FBI’s investigation. All the while Houdini’s words echo in her mind: Whatever occurs, the crowd must believe it’s what you meant to happen. She knows that if anyone digs too deep, secrets long kept hidden may find their way to the surface—and shatter her carefully controlled world. Set during one of the richest, most vibrant eras in American history, this Jazz Age novel of illusion, suspense, and forgotten pasts is perfect for fans of The Magician’s Lie, challenging all to find the underpinnings of faith on their own life’s stage. As a history buff, I always love Cambron's novels. She is skilled at taking well-known seasons and figures in history and weaving magical tales around them. This time she's brought in moments of suspense that show she is a skilled writer no matter the bend she takes with her genre. Wren is a strong female lead who pairs well with FBI agent Elliot Matthews. But I like that this story is so much more than their romance. It's about Wren's past and how that is affecting her present. It's about God's grace and our faith, and that is something else Cambron does well in her books. Cambron's own faith and love for God shine clearly on the pages without a heavy hand. It simply just is. As if you cannot separate the author from her faith, which makes the spiritual thread of this book so very natural. I thoroughly enjoyed this book. The new characters. The underpinnings of faith. The moments of suspense. 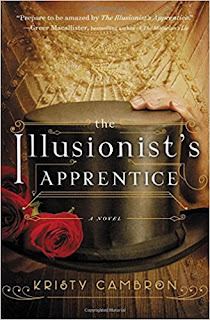 Cambron has hit her stride with The Illusionist's Apprentice, and I cannot wait to see what she does next. I happily give The Illusionist's Apprentice 5 out of 5 stars and you can purchase it here. Happy reading, friends!